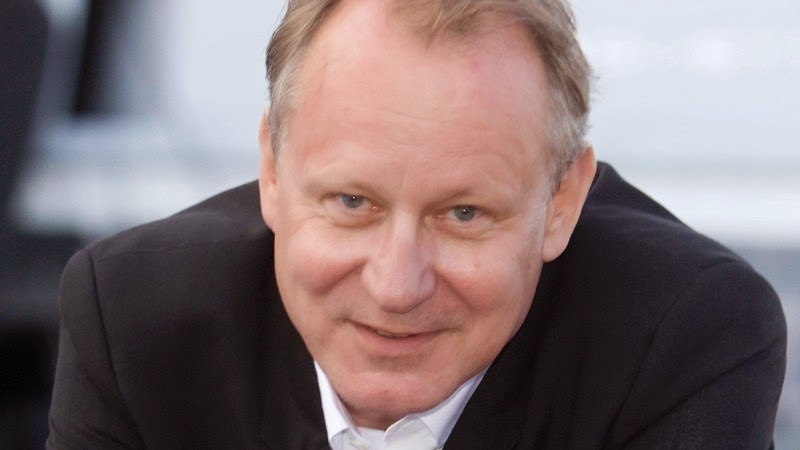 Stellan Skarsgård is to star as a police officer in BBC One's River, to be shown next year. Production has begun on River, a new drama series written and created by Emmy award-winning Abi Morgan for BBC One. Stellan Skarsgård (The Girl With The Dragon Tattoo) stars as John River, a brilliant police officer whose genius and fault-line is the fragility of his mind - a man haunted by the murder victims whose cases he must lay to rest. Nicola Walker will play River’s colleague and confidant, Detective Sergeant Jackie ‘Stevie’ Stevenson, with Adeel Akhtar as Detective Sergeant Ira King. Lesley Manville will play their superior, Chief Inspector Chrissie Read. Eddie Marsan also joins the cast as a notorious killer who haunts River. Further confirmed cast include Sorcha Cusack as Stevie’s mother, Bridie, and Georgina Rich plays police psychiatrist, Rosa. The 6x60-minute series  is being filmed in East London for transmission in 2015.